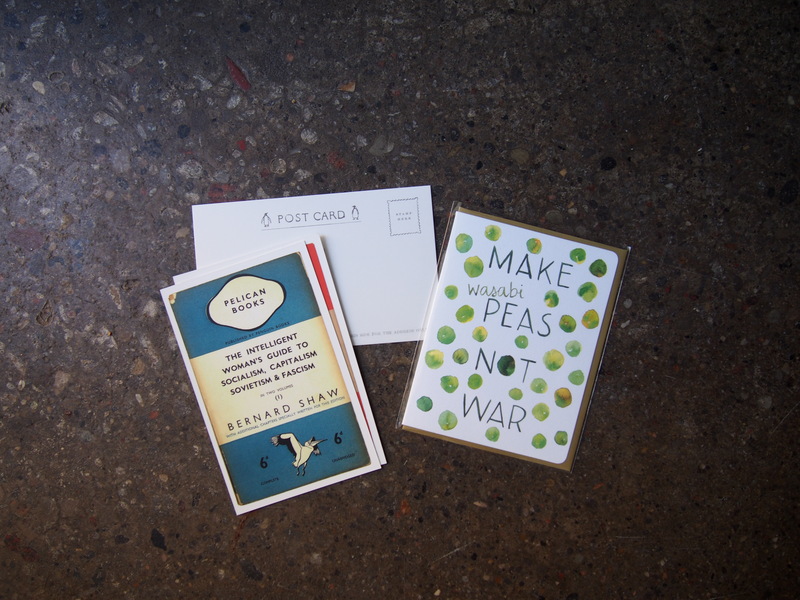 Sometimes letter writing inspiration strikes out of the blue: it’s your best friend’s birthday! you heard about your coworker’s news! it just popped into your head that someone might appreciate a surprise in their mailbox from you. However, not having all the supplies you need to get your letter together can be frustrating and lead to procrastination. If you’re serious about or just interested in starting to write letters, you should consider putting together your own correspondence kit or letter writing kit. Really, it just means you should gather all of the supplies you need and put them in one portable case. 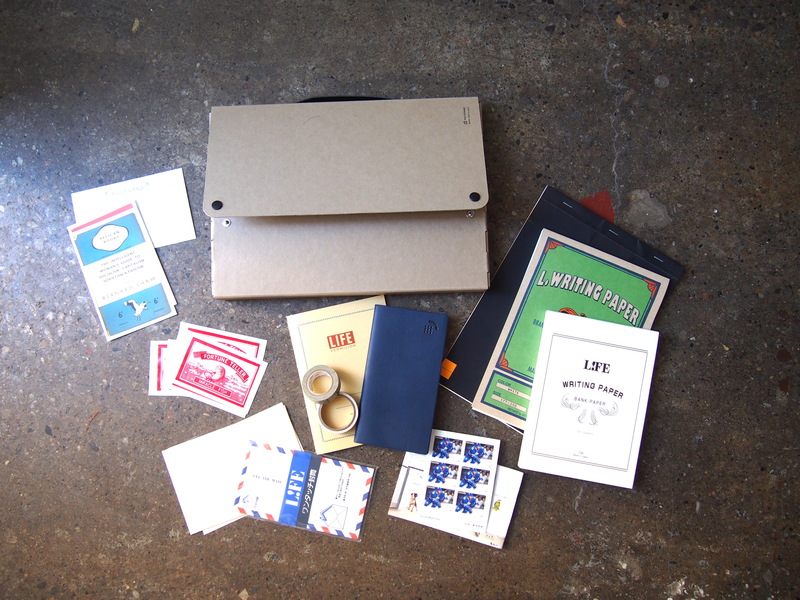 Making my own letter writing or correspondence kit is kind of something that has evolved over time. It just started with slowly starting to keep things related to letter writing in the same area, then in the same drawer, and then in one folder for when I moved from room to room. I used to use a file folder, but I would often trail envelopes or booklets of stamps behind me. When I would go to a cafe, I would have to plan in advance who I was writing to and what paper or envelope I’d need, and which stamps to bring, and the hustle of finding everything sometimes meant I just went to the cafe with a book. I’m not out and about as much as I used to be (both because of the baby and because I live where I work so I don’t need to go anywhere), but having all my letter-writing stuff together means I can do my thing at the kitchen table, at the packing tables with Jon, or wherever I want to be. It’s also great for the odd occasion I head out for some writing and coffee, usually just down the street to the excellent Dundas & Carlaw cafe, with their enormous and shady patio. Now I use a Midori A4 Pasco Pulp Storage Case. You don’t actually need to use one of these, it’s whatever you have handy! I like these A4 cases because a lot of paper is A4 size (G. Lalo, Rhodia), and it’s nice to be able to fit in an entire pad, which can sometimes be just larger than A4 because of the staple binding at the top. A lot of North American based cases are designed for letter-sized paper. They’re also a truly a case, and so they won’t bulge if you keep various sized stationery items. We brought in these Pulp Storage cases from Midori, which are made for transporting and organizing folders, files, papers, pads of paper, notebooks, etc. 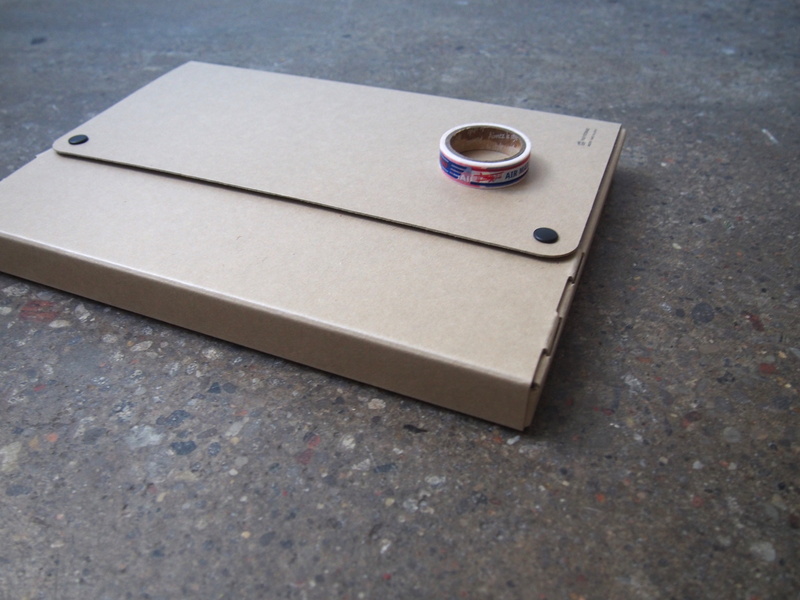 as well as able to handle bulkier items like slim pen cases, or an iPad. Actually, these would have been great for when I was teaching to put a class set of essays or math tests in, and keep them nice and organized. 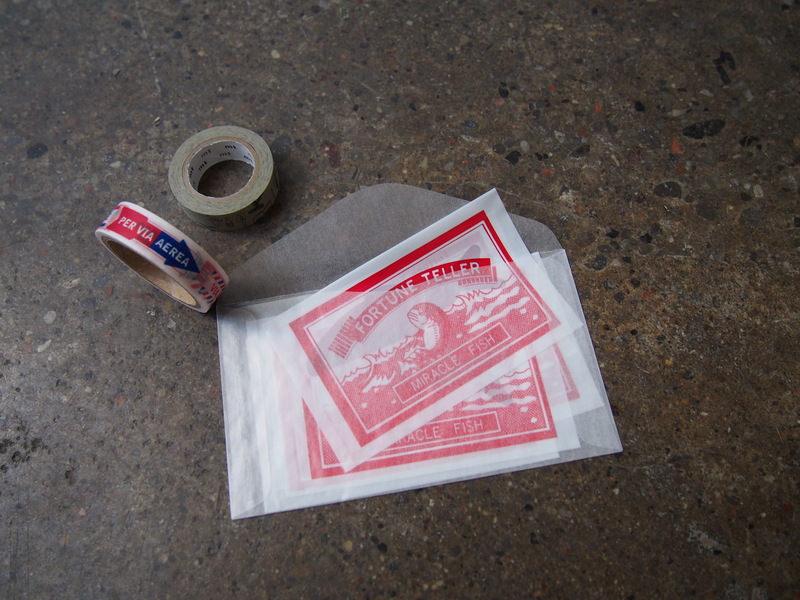 As soon as I saw them in person, I knew it was exactly what I was looking for to use as my correspondence kit. I generally keep two types of stationery. One is for longer letters to friends or penpals: my favourite is Rhodia R Premium Paper in A4 sized, but recently I’ve started a pad of Rhodia Yellow Lined Legal Pad, which gives you an extra inch of writing room. And then I keep a pad of laid paper, like G. Lalo, or Life Japanese stationery for thank you notes to customers, or something shorter. I generally match longer letters with the airmail envelopes, and thank-you notes with matching cream G. Lalo envelopes, but sometimes I mix it up. For greeting cards, it’s nice to have a few that are a bit more all purpose, so you can use them for birthdays, holidays, condolences, congratulations. Postcards are also great to send to friends or as a note that isn’t necessarily expecting a response, since not everyone wants to spend the time to write back (although you might be surprised by who will!). It took me a while to finally realize I needed an address book. My old system was to put all mail that needs to be responded to in the case, so when I sat down to write, I just pulled out an envelope and used the return address. However, there have been enough occasions where I’ve needed to write without having an envelope, for a birthday or to an old friend, that I finally got one. You can even just use a regular memo book or thin notebook to keep track of addresses. 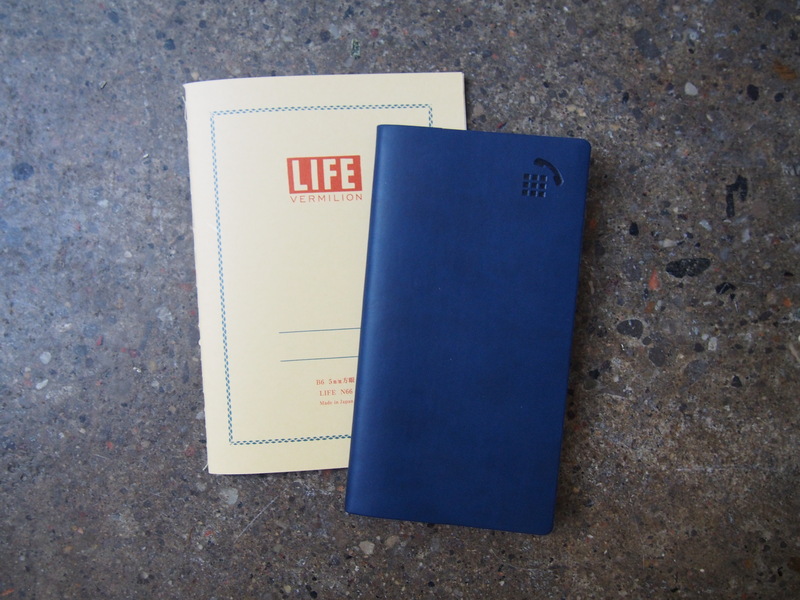 Fun fact: I ordered some address books from Clairefontaine so I could have one, but there is always a minimum order quantity, so we put the rest out in the shop. 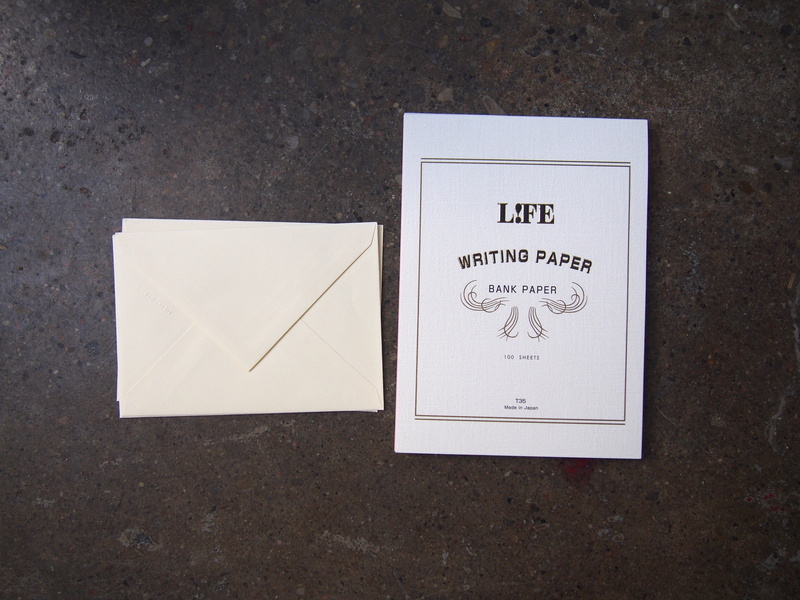 What a nice surprise that there are enough people buying paper address books that we have to re-order them to keep them stocked! I like to include flat and light items, just something small, to go along with letters. Be careful it can go through lettermail rates (not bulky), otherwise you’ll have to send it as a parcel, which will get expensive quickly. 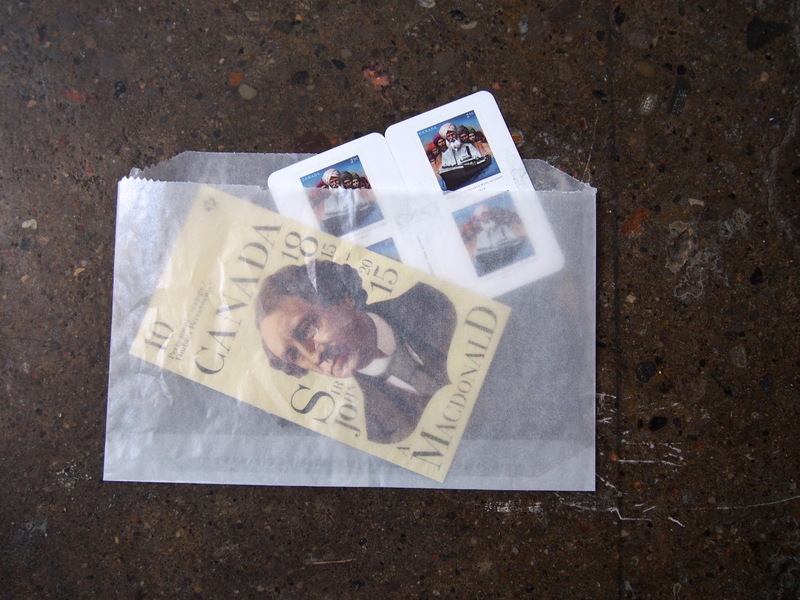 Consider bookmarks, clipped articles, tea bags. I often include Fortune Teller Fish. If you have a fish from us, consider passing it along! Letters that need to be answered wait here, along with partially finished letters that I need to get back to. I hesitate to leave a fountain pen in my correspondence case for fear it will dry up (although I guess that would be a good way to encourage me to write more often). When I go to write a letter, I often have several fountain pens in a case with me, but I may not have one with a permanent or water proof ink, so it’s nice to have a gel pen for addressing envelopes. You can also keep airmail labels from the post office, washi tape, markers or brush pens, sealing wax materials (you can keep a lighter, sealing wax and your seal in a small pouch to keep organized), address labels, vintage stamps to add onto your envelopes. You should keep whatever else you need! Really, this is just an encouragement for you to take the time to find everything you need to write letters, and put it in one place, preferably in a portable case so you can go anywhere you like: the back porch, a cafe, your kitchen or a friend’s kitchen. It doesn’t need to be anything formal or complicated, but just get everything you need together. Sometimes just knowing all you need to do is get your correspondence kit is enough to get you writing. 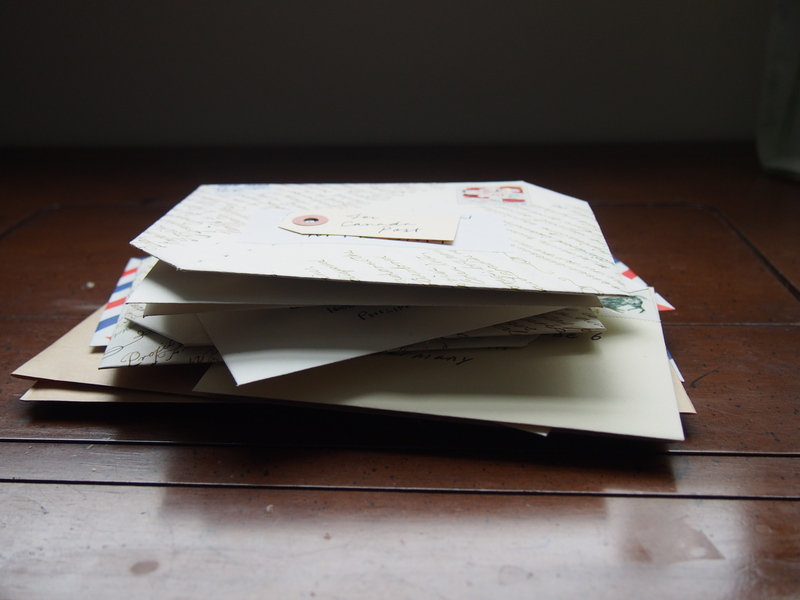 And also, a reminder that tomorrow is our monthly Letter Writing Club! We meet between 2 and 4 pm on the second Sunday of the month, which happens to be tomorrow. Free, treats and stationery (same thing??) provided. Just bring yourself, maybe a friend, and a few addresses. Caleb naps around 2:30, so I’m always a bit late to the party, but I’ve got a stack of letters that I’m going to be working on replying to! Thanks. This is a good idea. 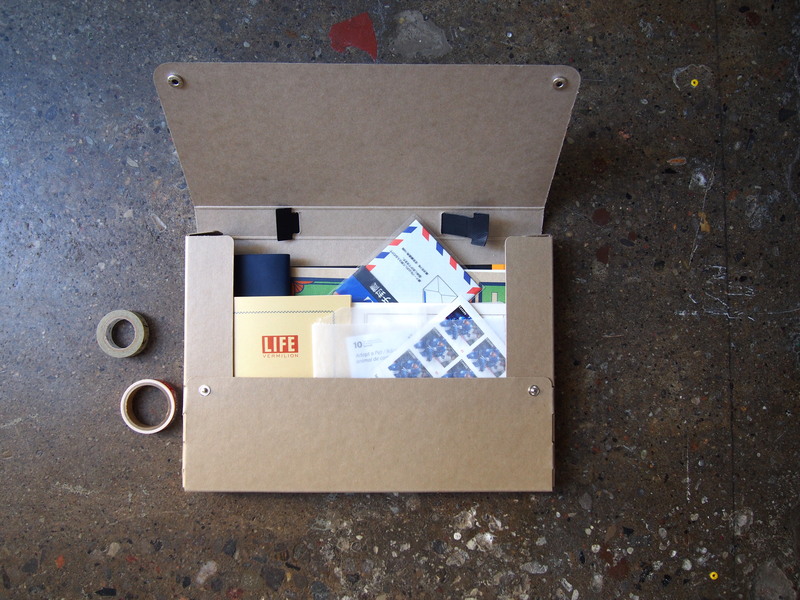 Ever since I started to commit myself to write and do more analog correspondence to build/deepen relationship, I have never thought of putting together a kit. This post is really helpful. You should write a book like “The Art of The Personal Letter” by Margaret Shepherd. I had to show this to everyone in the office – baby eating MT tape ;))))) Hilarious! What the heck is a “fortune telling fish”? 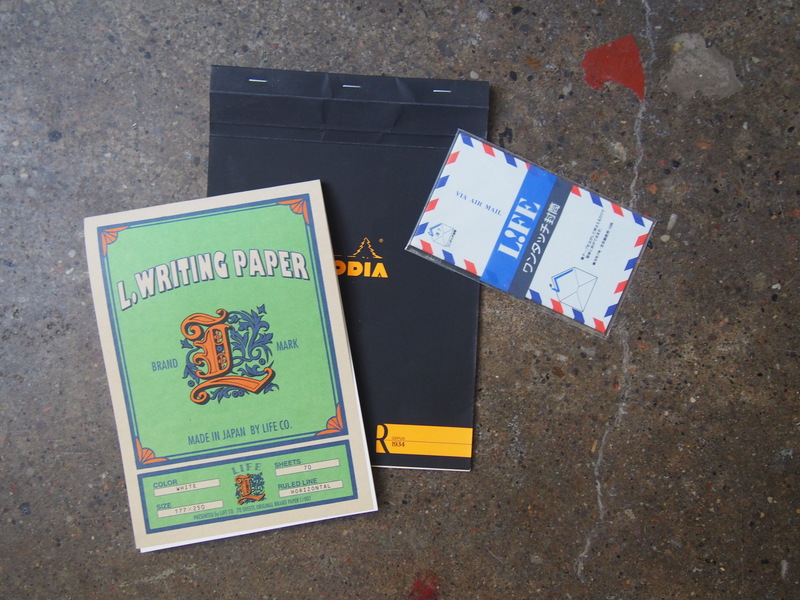 I noticed you say that you match your longer notes (Rhodia A4) with the airmail envelopes. Do they fit folded like a normal letter or do you have to do something special folding them? I’m currently trying to get pieces of my kit together. Really enjoyed this article! There are three sizes of the airmail envelopes: the #4 will is the long one that will fit A4 papers just folded up into thirds “normally,” the #6 is my usual, which fits a B5 paper (in-between A4 + A5), and the #7 is the smallest, usually for A5. However, I usually only have the #6 envelopes, and so I fold my A4 papers vertically as well as horizontally. I may have to do a quick photo post to explain what I mean a bit better! That would be great! Thanks for sharing!